Between Big Hill and Dreyfus. Central Kentucky Wildlife Management Area. Battlefield Memorial Hwy, Muddy Creek Rd, Arthur Jackson Ln, and Log Cabin Rd. Some property owned by Roy Robinson, James Carr, Mary Malicate, Ike Pearson, Clarence Powell, Chester Rogers, Dewey & Johnnie Barrett, Lizzie Eversale, and Jenny Brown. 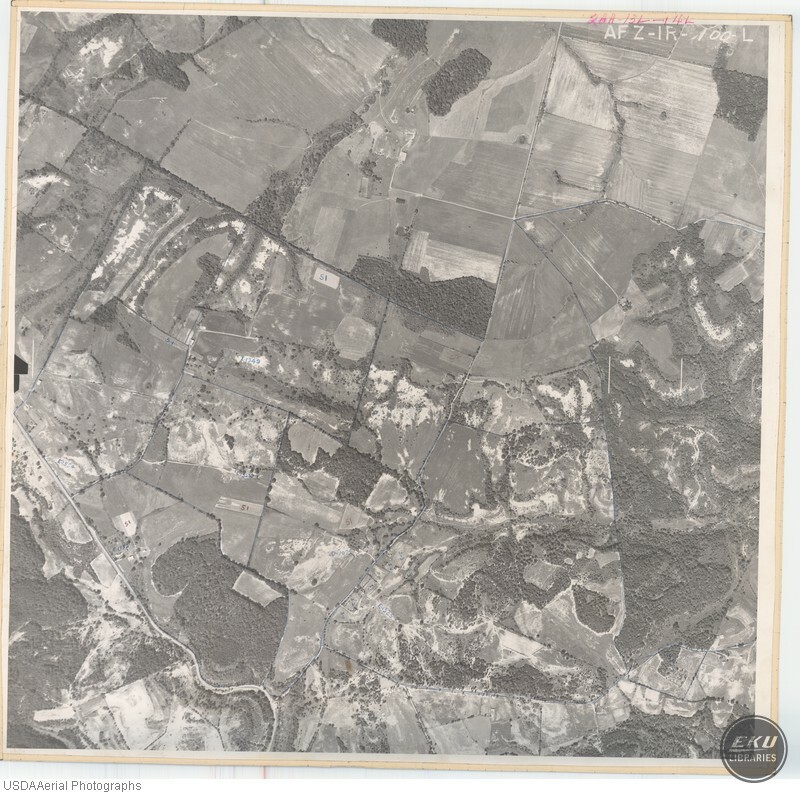 USDA, “Southeast Madison County,” Digital Collections, accessed April 19, 2019, https://digitalcollections.eku.edu/items/show/761.